The first time I had a 14 Hands wine was at a restaurant. It was a really tasty Merlot and when I went to buy some in the store, I found out that they’re only carried in restaurants. That was over 5 years ago and over the years, I’ve been able to find their wine at the most unexpected times. This time, it was in Costco while I was shopping for party food. I looked at the label hoping to find out more about the wine, but there’s nothing about what is blended into it. I just know it’s from Washington State so that gives it some rather wide latitude. 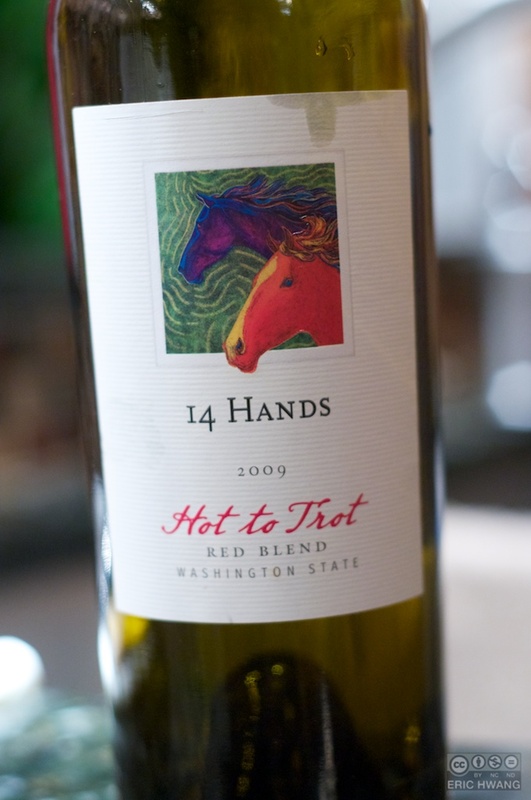 The 2009 Hot to Trot is a bit young, but if you like fruit-forward reds and an easy drinking wine, this is the wine for you. A vibrant ruby red color is followed by aromas of blackberries and tart plums. It wasn’t overly complex with generous dark cherry flavors and just a touch of soft fruit tannins to add interest. The finish is rather smooth with a some chocolate overtones. It would be a great party wine and reminds me of another fruit bomb I’ve worked with in the past. Best of all, the price was only $8. 14 Hands is located in Paterson, WA so your local Costco may not carry this, but if you’re in the Seattle area, you should be able to find it. I’ve been walking by bottles of 14 hands wine at Safeway for a month now and every time I think about getting it. Something about the label grabs me- It reminds me of riding my Dad’s horses when I was a kid. 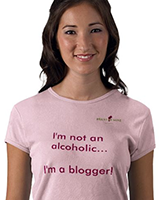 There are definitely times when I can go for a fruit forward wine and I always enjoy blackberry flavors in my wine. And that is a smoking good price- I’ll have to check if my Costco carries it too. Cheers!